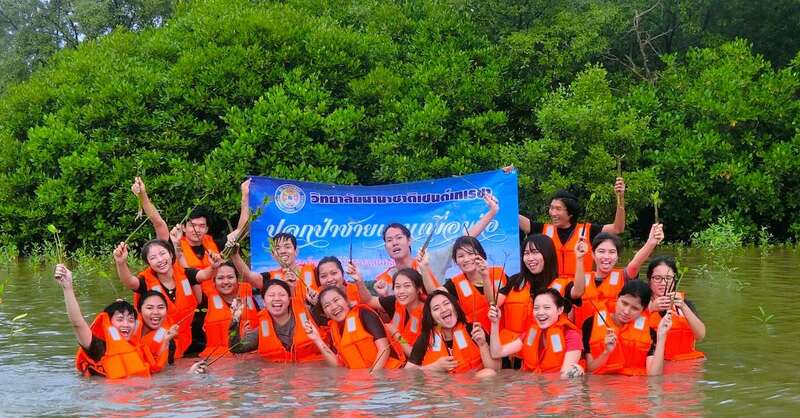 With highest respect and gratitude of H.M. the late king Bhumiphol Adullyadej, St. Theresa International College’s administrators and lecturers have encouraged students to partake in efforts relating to social services towards the communities, as part of their academic curriculum. 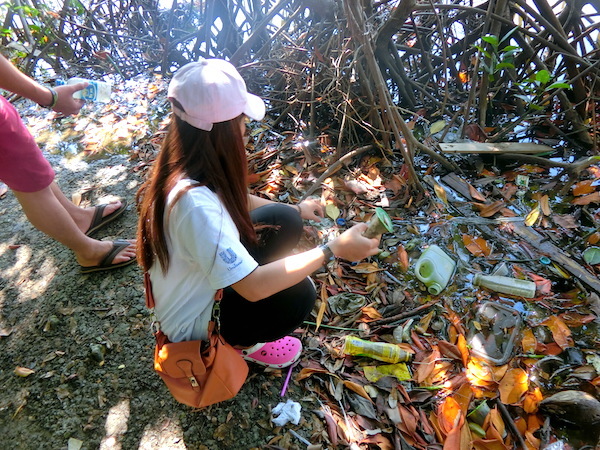 Students are encouraged to help communities, society and the country by contributing to environmental preservation, and restoration of ecological water systems, soil and forests. 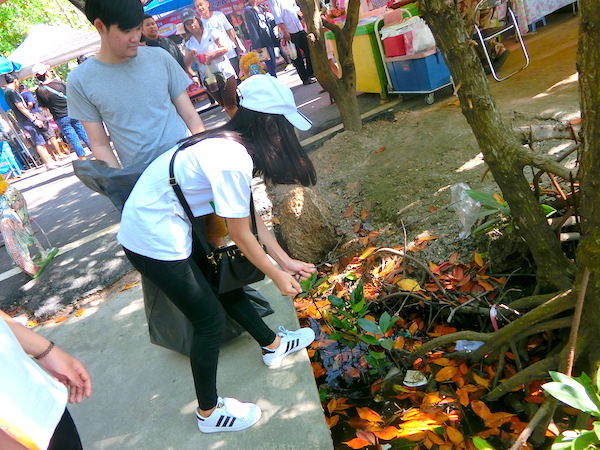 Students are also encouraged to improve the quality of life for the local people by helping them achieve the skills needed for self-sustainability. 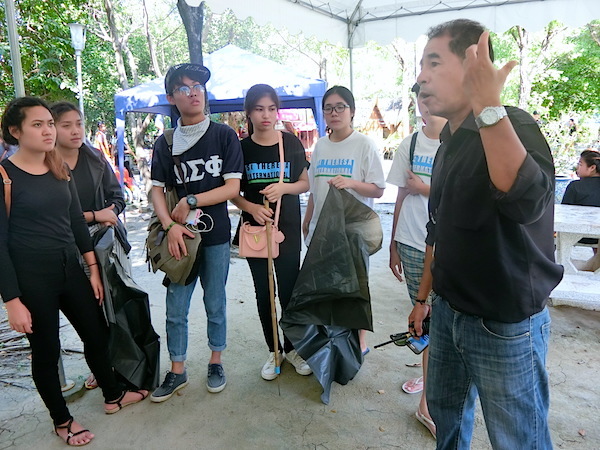 Following this guidance, the College has continuously implanted the seeds of knowledge into the minds of the students. The tiny seeds have sprouted forth and have prepared the students to take action! 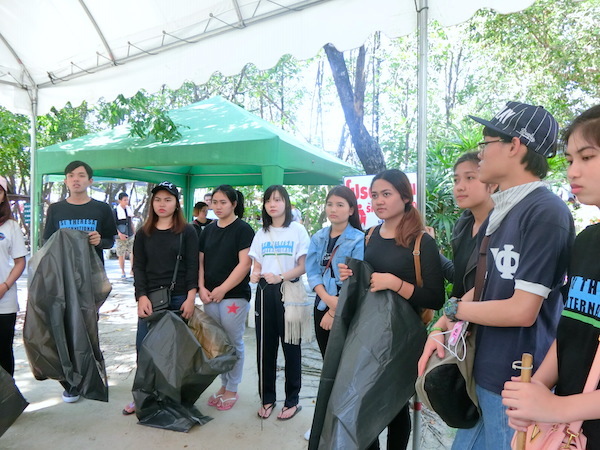 Hence, on December 3-5, 2016, students of both Hotel and Tourism and the Faculty of Humanities, accompanied with their lecturers, have joined in efforts to plant trees within the mangrove area at Tumbon Khlong Khon, Samutsakorn Province. 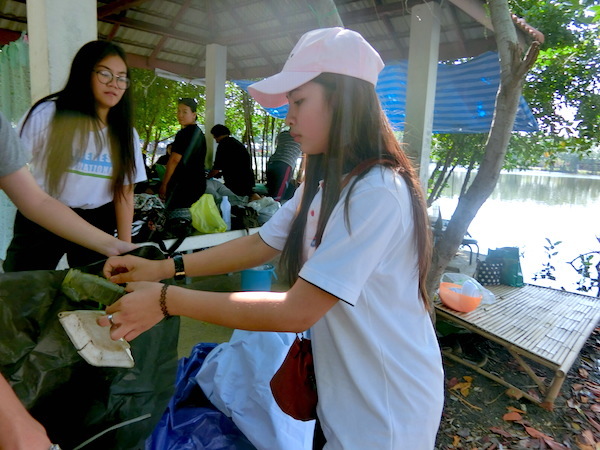 They had also volunteered in the cleaning of waste disposal units from the natural watershed located at the Phanthai Norasing monument, Khok Kham Canal, Samutsakorn Province.